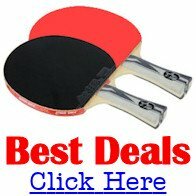 Hardbat Table Tennis - What is it? Can I still use a hard bat? In the early days of table tennis, the table tennis racket (bat / paddle) wasn't as sophisticated as it is today. Known as a hardbat, table tennis was a simple game played with this simple racket. The hard bat comprised of a wooden blade with ordinary pimpled rubber attached, with the pimples facing outwards. But as the years passed, players discovered that modifications to the racket could mean the difference between victory and defeat. So the table tennis racket saw continual development, culminating in the sponge rackets we use today. So what's happened to hard bat table tennis? Hard bats were initially used by everyone, and were wielded particularly successfully by the Hungarian and English players who dominated the World Table Tennis Championship for the first 25 years. 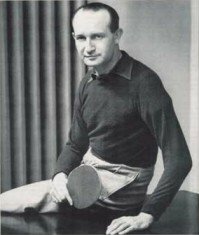 Hungarian Victor Barna (1911-1972) was World Champion in 1930, 1932, 1933, 1934 & 1935 and gives his name to the Dunlop Barna hardbat table tennis racket favoured by many players even today. 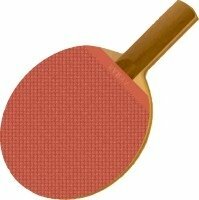 In 1952 at the World Table Tennis Championships in India, Japan's Hiroji Satoh astonished the world with his unexpected victory in the men's singles - in part due to the unique sponge-covered racket he used to bamboozle his opponents. His new sponge racket was completely different to the traditional hardbat rackets and the other players were unable to cope with the different playing characteristics. 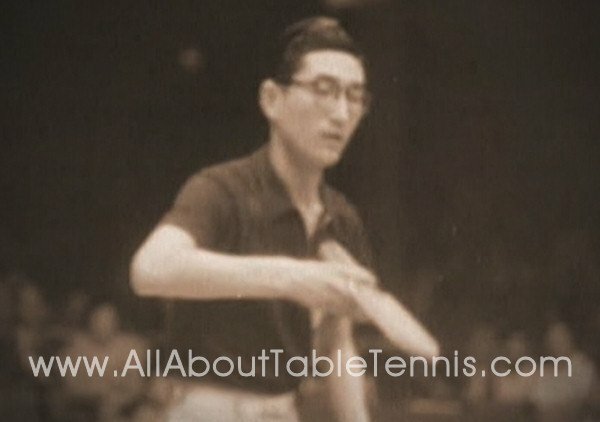 Here's a short video which explains what happened at the 1952 World Table Tennis Championships. The introduction of sponge rackets accelerated after 1952 and soon changed the game forever. The hard bat was therefore in decline by the late 1950s and this effectively was the end of the hard bat era. Although the hard bat is still legal (providing it meets the current rules - including red and black rubbers), none of the top players use one. Sponge rackets are now favoured by the modern player, but some older players still prefer to use a traditional hard bat. "A side of the blade used for striking the ball shall be covered with either ordinary pimpled rubber, with pimples outwards having a total thickness including adhesive of not more than 2mm or sandwich rubber, with pimples inwards or outwards, having a total thickness including adhesive of not more than 4mm. Ordinary pimpled rubber is a single layer of non-cellular rubber, natural or synthetic, with pimples evenly distributed over its surface at a density of not less than 10 per sq. cm and not more than 30 per sq.cm. The surface of the covering material on a side of the blade, or of a side of the blade if it is left uncovered, shall be matt, bright red on one side and black on the other." However, the modern game is based on speed and spin and hard bats just cannot compete with the modern sponge rackets. Despite the general demise of hardbat table tennis, you'll still find traditional hard bat tournaments - where only hard bats can be used - which are very popular with certain players. In Europe there are several hard bat tournaments. And in the USA there are hard bat tournaments including one very high profile tournament held in Las Vegas - "The Hardbat Classic" - with a top prize of $100,000. Hard bat tournaments were revived in 1997 when Dr. Michael Scott convinced the USATT to include a hardbat event in the U.S. Nationals. American Marty Reisman, a former English Open winner and 1949 World Championship semi-finalist, came out of retirement and won the event at age 67 ... perhaps the oldest national champion ever in an open event, in any racket sport. The resulting ferver led to a resurgence of interest in hardbat play and in 1998, then USATT president Jim McQueen initiated the hardbat sub-committee to standardize hardbat rules. And so a new era of hard bat table tennis began. Can I find footage of hardbat matches? There are dozens of video clips on YouTube of recent hardbat events. But to really see hardbat at its best, check out footage of the greats during the classic era - Richard Bergmann, Victor Barna, Bohumil Vana, Ferenc Sido, etc.